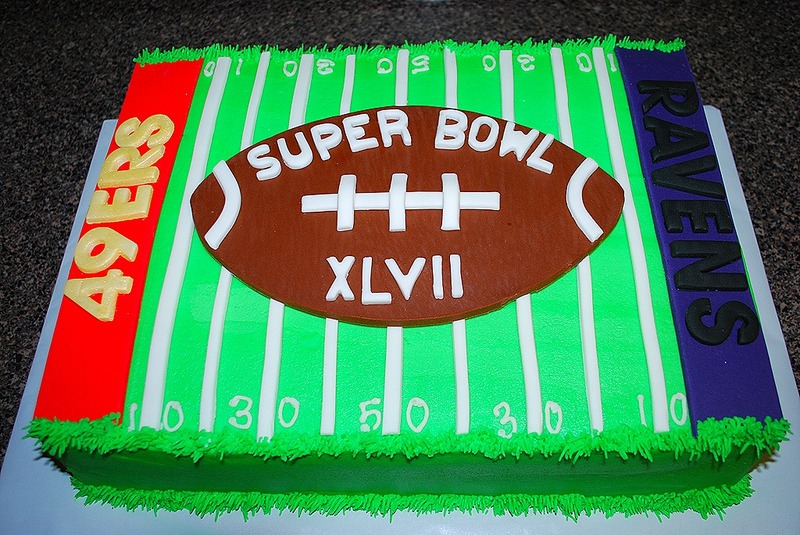 Tons of people will be getting together to watch the Super Bowl on Sunday. If you don’t watch the game, hopefully there will be some good eats for you to grub on. 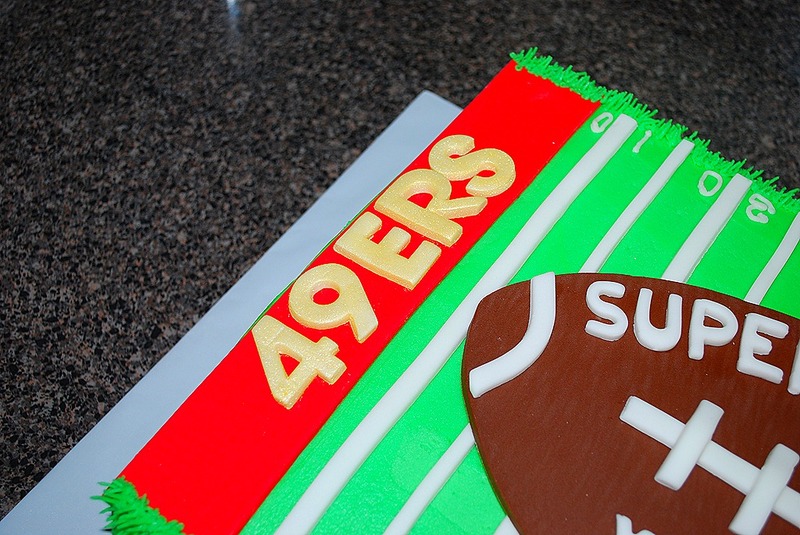 I had an order for a football themed cake for an office party this week. I loved how this turned out—it was just what I wanted it to look like. I love it when an idea for the cake actually turns out! I did two 11×15 cakes for this one. 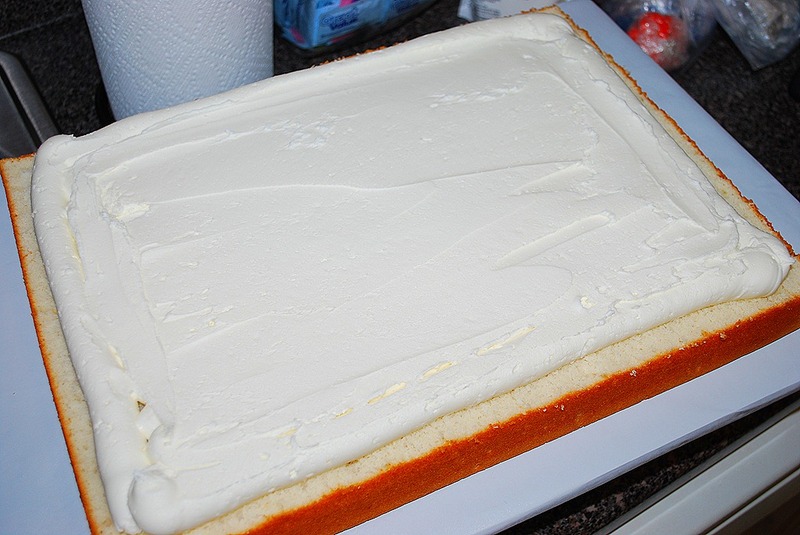 I baked one, thinking that I would just split it and frost. 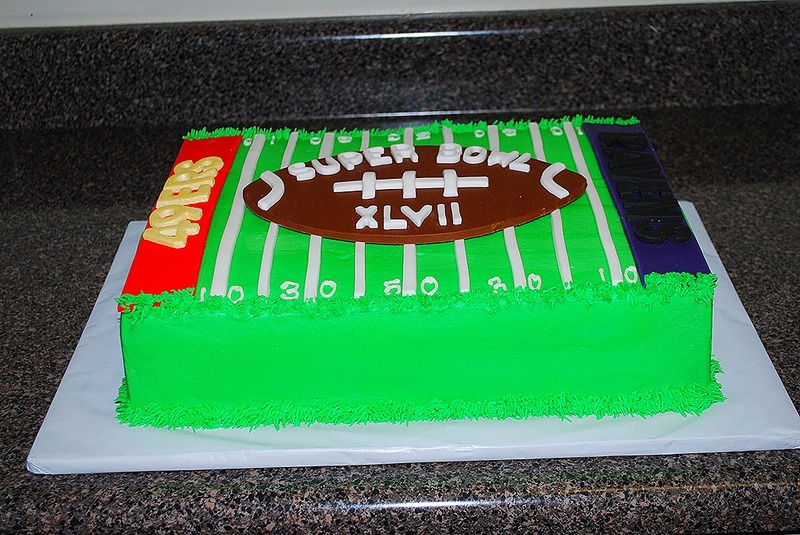 But, the one cake was not as high as I wanted it to be, so I did another one. 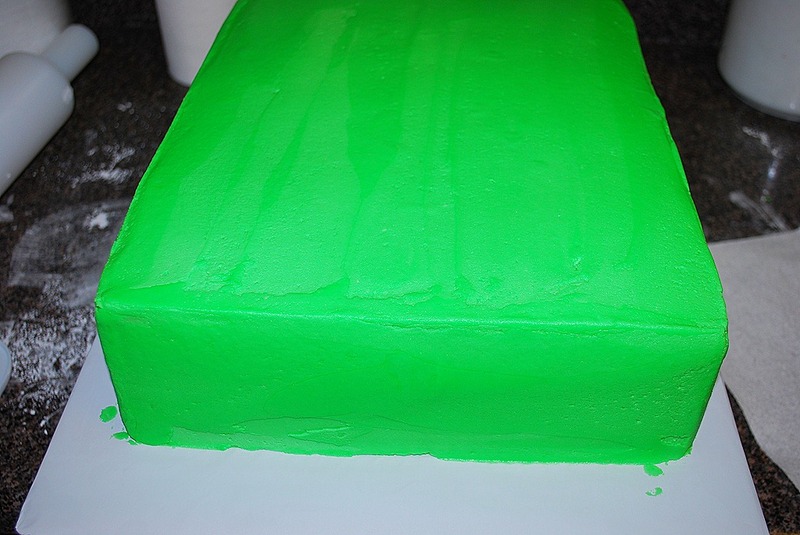 It got a layer of butter cream in the middle and was frosted with green around the outside. I loved the green—it was light without being too pale or so dark of a green that it would stain your mouth. 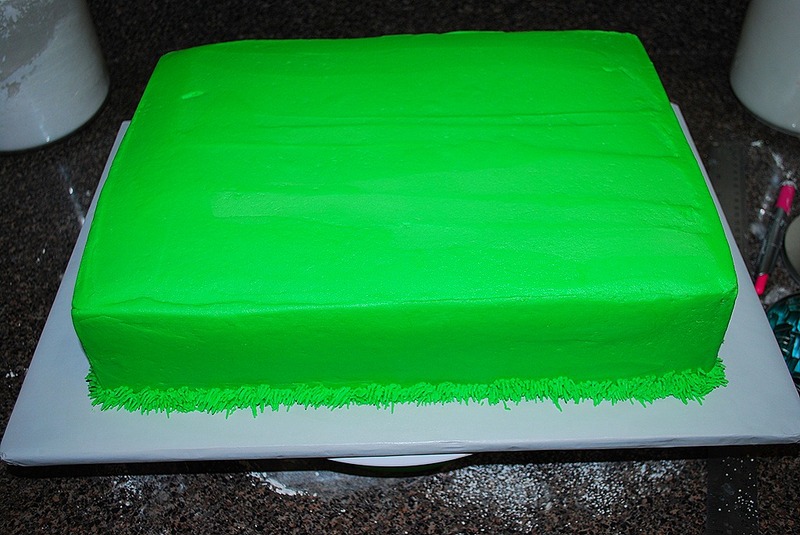 I used the grass tip to frost around the edges of the cake. I hate that tip. Really, really hate it. It seems to always clog up on me. I took forever, but I finally got the whole thing done. Then I had to do it all over again on the top. 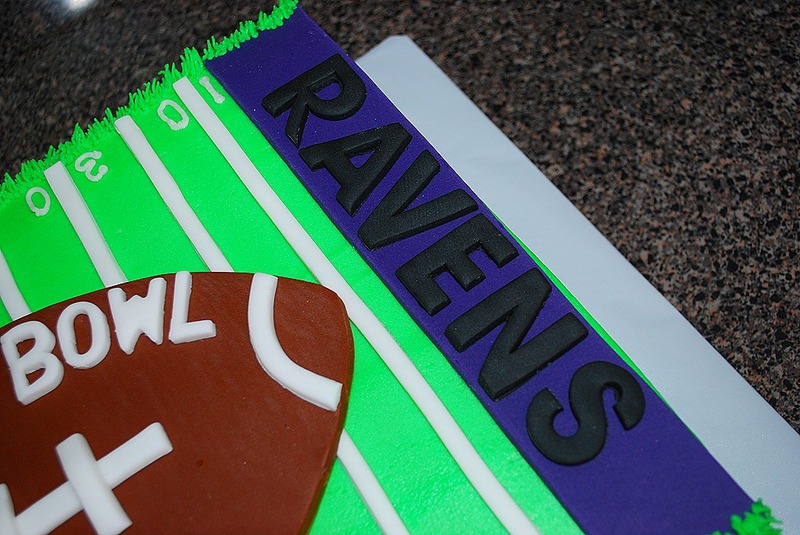 I printed out a football on the computer and used that to trace and cut out the football on the brown fondant. I measured the white yard markers at about 1/4 inch. I loved the endzone signs. I cut the names with these rad little cookie cutters that I had—bought them forever ago and finally had a reason for them! 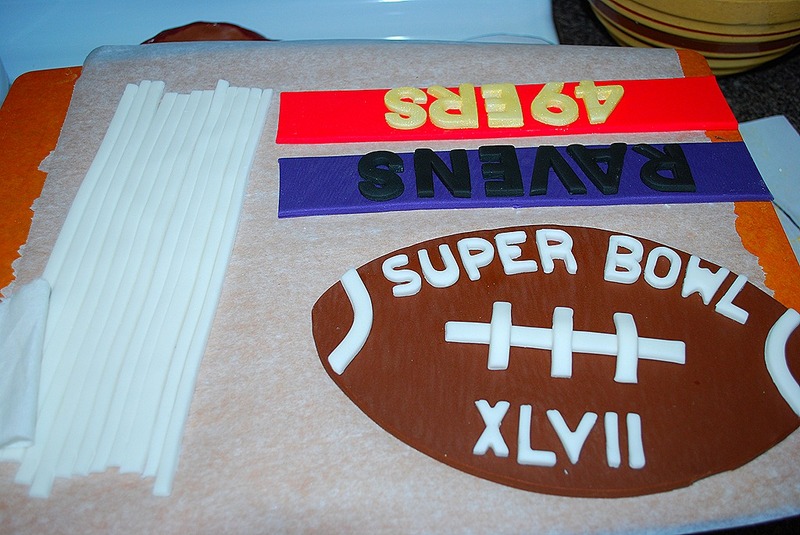 I was going to pipe the lettering on the football, but at the last minute decided to cut them out of the tiny alphabet cutters-at 1:00 in the morning. That was a super bright idea. It was time consuming, but did look better than my piping skills at 1:00 in the morning do. 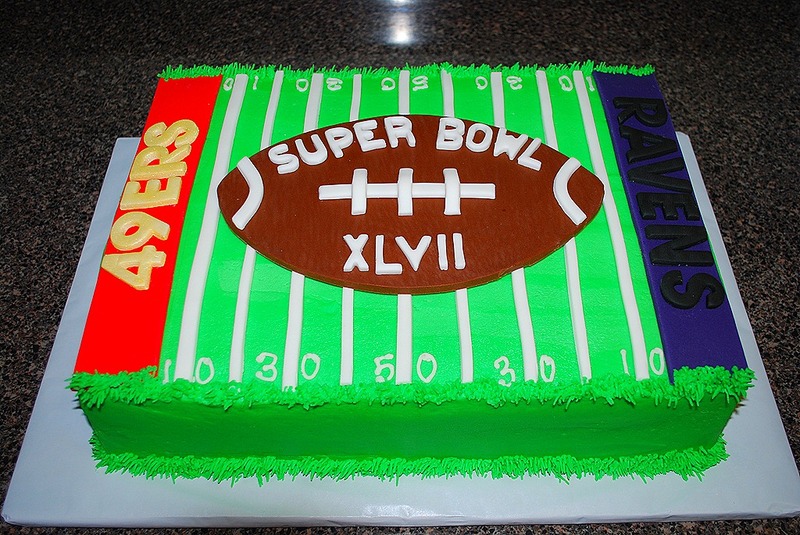 I loved, loved, loved this cake. It was fun to do and looked just exactly liked I wanted. I wish I had some for us to eat. 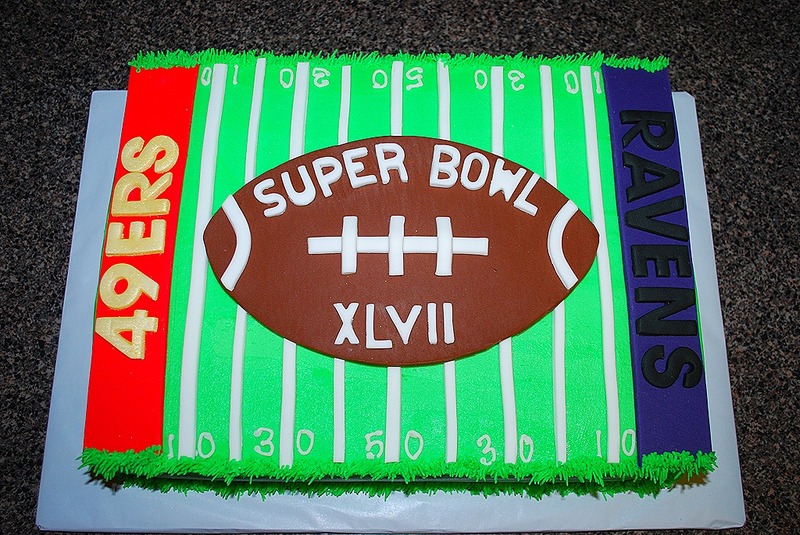 We will be watching the game, but don’t have any cake! I guess that chips, dip and pizza will have to do for us. Enjoy! !